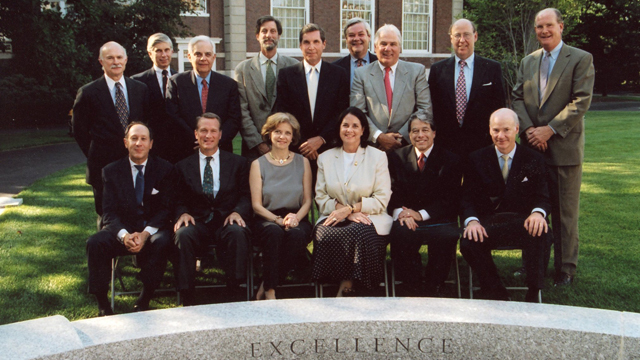 The founders of HBS created a unique context for management education—one in which the physical environment reflects and reinforces the School’s participant-centered learning model through a residential campus. 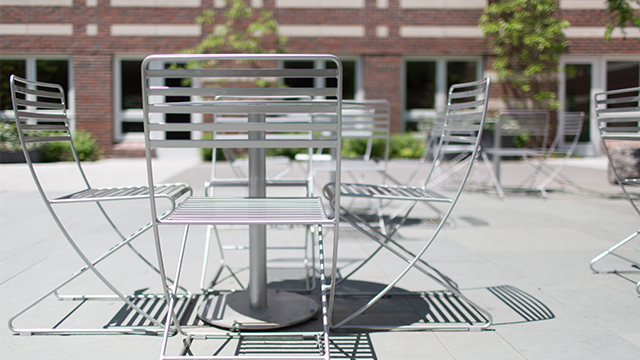 Outdoor spaces, much like each of the buildings, are thoughtfully designed to encourage continued learning outside of the classroom, promote collaboration, and build a sense of community. The firm of Frederick Law Olmsted, designer of New York’s Central Park and Boston’s “Emerald Necklace” system of parks, designed the original 1927 landscaping plan for the campus that has been built upon as the campus has been expanded over the years. Central to the learning experience are the spaces around campus where staff, faculty, and students gather in between classes, attend meetings, and celebrate at events. These spaces are critical to knitting together a diverse group of people and creating a sense of community. Many of these spaces play host to memorable gatherings and dedications, such as commencement, when students gather on the Baker Library lawn for an unforgettable ceremony that marks their graduation. Batten Way is the School’s south side main entrance road and is named in honor of Frank Batten (MBA 1952) for his leadership gift to support the renewal and enhancement of the Soldiers Field campus. 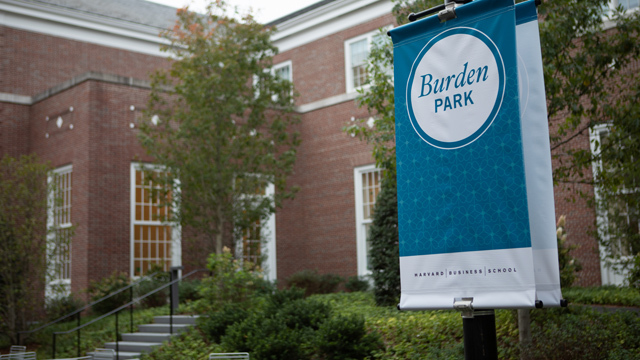 With the decommissioning of Burden Hall in 2017, HBS created Burden Park, a place for exchange and socialization, recreation, and respite. A true gateway to the campus—located between Spangler Center and Klarman Hall—it welcomes visitors arriving from the south side of campus and sets the stage for the unique landscape they will encounter throughout the School. Class of 1971 Courtyard, located behind Aldrich Hall, commemorates the support of the class on the occasion of its 25th and 30th fundraising efforts toward the physical renovations of Aldrich Hall. Baker Courtyard was named in honor of the School’s fifth Dean, George Pierce Baker (1903-1995). 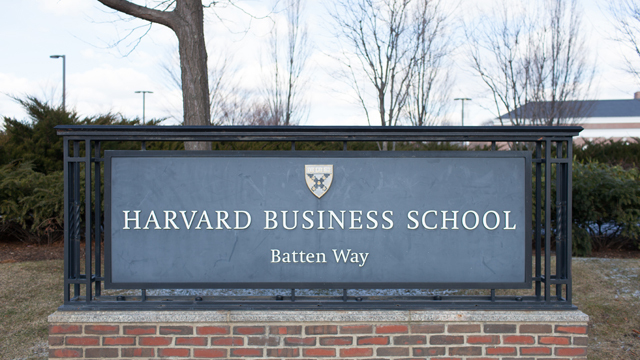 Baker was the fifth Dean of Harvard Business School and an international authority on transportation. He served on the HBS faculty for 38 years, including his term as Dean from 1962 to 1970. 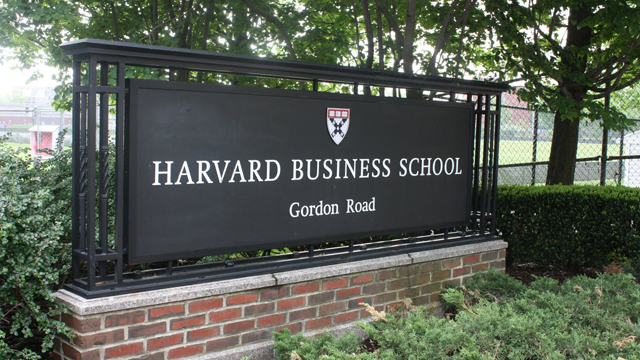 Gordon Road is the School’s east side main entrance road and commemorates the support, across Harvard University, of Albert H. Gordon (AB 1923, MBA 1925). Kresge Hall, named in honor of Sebastian S. Kresge, was built in 1953 and made possible by the Kresge Foundation. 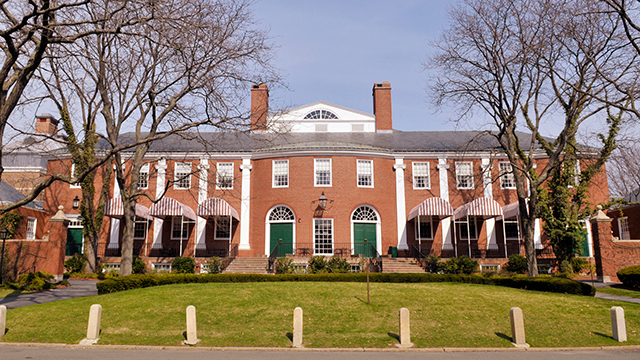 It was a beloved and familiar HBS landmark and a central gathering place for meals, meetings, and reunions until it was replaced in 2014 with the Ruth Mulan Chu Chao Center. Sebastian Kresge and the Kresge Foundation are now honored in the naming of Kresge Way. 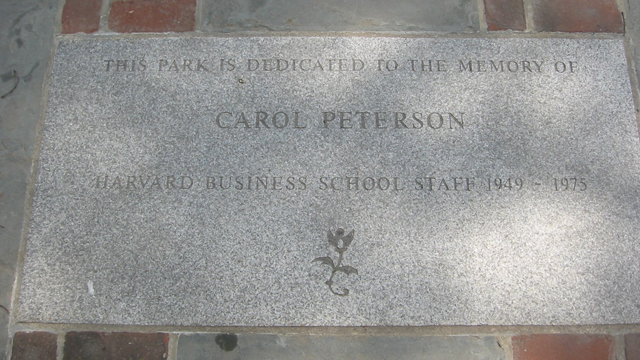 Peterson Park, located between Morgan Hall and Baker Library|Bloomberg Center, is named to commemorate the life of staff member Carol Peterson. 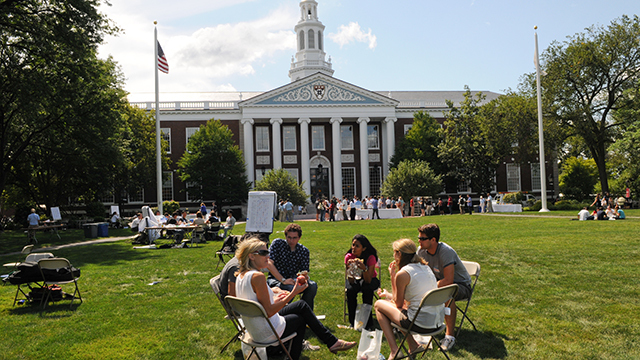 The upkeep and beautification of many outdoor spaces across the HBS campus are due to the generosity of Tom Theobald (MBA 1960). 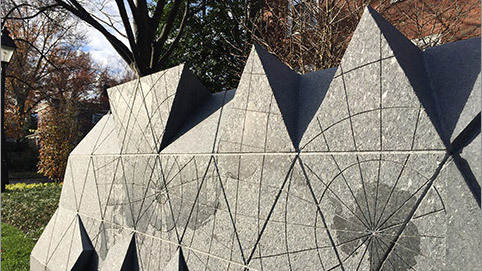 The Wall of Recognition of Service to Country was commissioned to recognize all Harvard Business School community members who have served their country in times of war and peace. The granite wall is intended to inspire us to reflect on the enduring contributions of veterans and others who have dedicated their lives to service, and to contemplate the role of service to country in our lives.